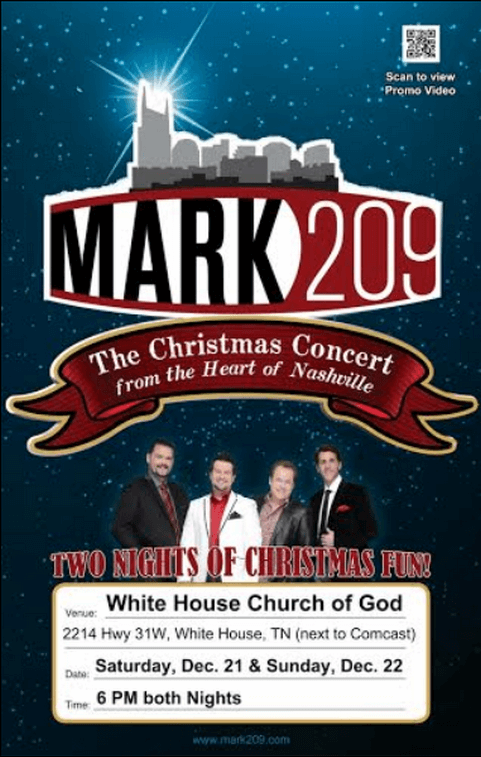 MARK209 The Christmas Concert, You’ll laugh, you’ll cry, you’ll be blessed. See the group everyone is talking about. You’ll laugh……..you’ll cry……….you’ll be blessed. We bring you ALL the News in Robertson County, Tennessee.